In 1914, taking a first step toward the scholastic excellence that became Putnam City Schools, the pioneer residents of Council Grove Township voted to consolidate into School District #1. The conditions of consolidation in order for schools to receive state aid were: (1) consolidated area of at least 25 square miles, (2) have a building with at least three rooms, (3) have at least 130 students: employed as many as three teachers; and have school organization in existence at least six months. Original consolidation involved four one-room schools holding class for grades one through eight. These included Central School, N.W. 23rd and Rockwell; Ozmun School, N.W. 23rd and Portland; off School, N.W. 63rd and Rockwell; County Line School, Wilshire and County Line Road. For the 1914 school year classes were held in the I.M. Putnam Building, which became the Arnett Building in August 1916. In 1915 classes were first held in the new two-story building at 40th and Grove, (Stop 9 on the Interurban) with 160 students and six teachers in attendance. Four horse drawn vans were provided to transport students living at least two miles from school. There was a stable shed near the school for horses that some students rode to school. Some rode the Interurban. The first motorized buses were used in 1922. 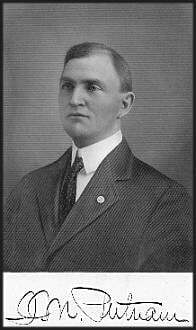 The first graduating class of three students was in 1919. In 1924 the entire school was still in one building, but then began to spread out with a new high school to the east and an elementary school to the west. The Christmas season saw catastrophy strike in 1940 when the original school burned. In January 1942, the high school burned and was rebuilt on the same site. By 1955 the school property spread from near MacArthur to Ann Arbor, included the Arnett Building and allowed room for a sports stadium. By 1957, changing demographics prompted the beginning of a building program away from the original campus with construction of Kirkland and Hilldale grade schools. This changed the Putnam City School System from Consolidated District #1 to Independent School District #1. Continued growth necessitated a new high school at 50th and Ann Arbor which opened in 1958. By 1967 graduation classes had bulged to nearly 1,000 students requiring a second high school, Putnam City West, which opened in 1968, and a third, Putnam City North High School, in 1978. 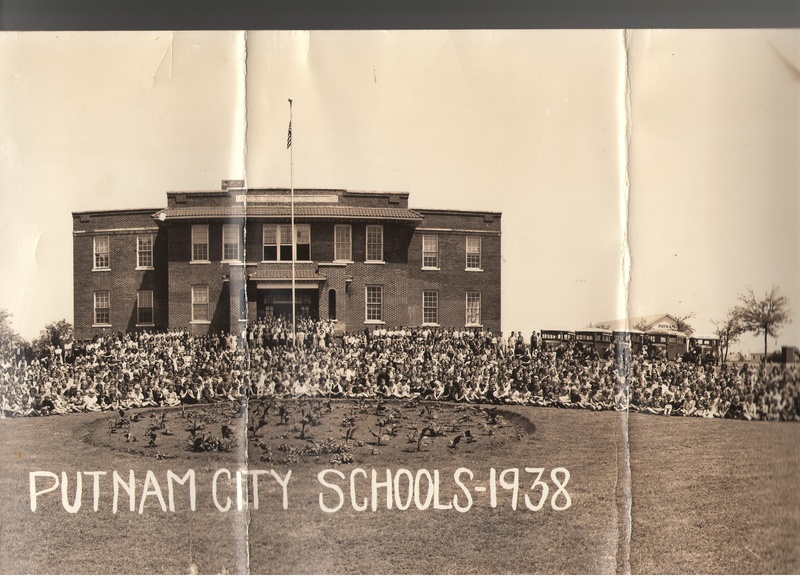 By the school year 2000, Putnam City Schools had enlarged to 18 elementary, five middle and three high schools, plus the Academy for those requiring a special learning environment. The total school population was more than 19,000. There were approximately 1,300 teachers, 27 principals, 50 counselors, 108 librarians and aides, 25 nurses and aides, 228 custodians, 20 campus police officers and 80 bus drivers. FOR MORE history and more details visit the museum and read these articles. Original Arnett building before and after fire. Pictures of old school and 1939 aerial map. Photo of items collectd by the original Preservation Society who started collecting them for future alumni to see. Old photos and other items in the museum.